Travis Strikes Again is looking pretty good on paper. With a January 18 worldwide release date and its Switch exclusive status, it's extremely easy to keep up with. It's a top-down action game from Suda 51 and there's only one way to get it: on Switch. If it does well, we might see more No More Heroes in the future. 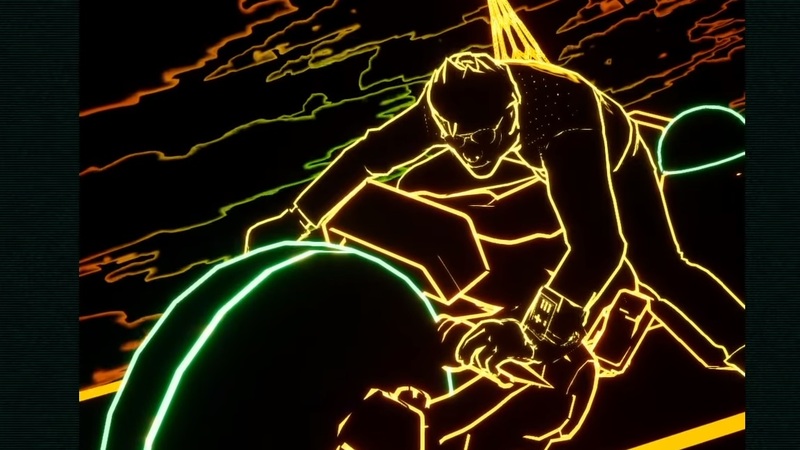 This latest clip showcases the Golden Dragon GP portion of the game, which is clearly Tron-inspired and seems to culminate in a boss battle against the Smoking King. I dig how the theme of the stage also inspires the UI: it's a nice touch and decidedly Suda. Once Travis Strikes Again: No More Heroes is out there's going to be more DLC on the way: a Season Pass was confirmed and will include Shinobu Jacobs as one pack, followed by Bad Girl.